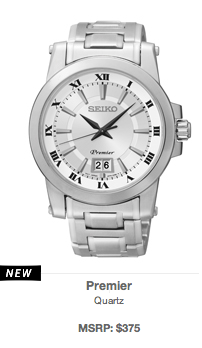 Seiko has been the watch we have always turned to for lasting quality at a fair price. The style is conservative with a touch of trend mixed in. The newer high-tech watches are some of the best performing watches in the industry. View the entire collection in the link provided below.